Lothian and Borders Police have praised the public for ensuring the Scottish Cup Final between Heart of Midlothian FC and Hibernian FC and the victory parade was a huge success for the city of Edinburgh. Over 50,000 supporters attended the match at Hampden stadium, while thousands more watched the match at home or within licensed premises. 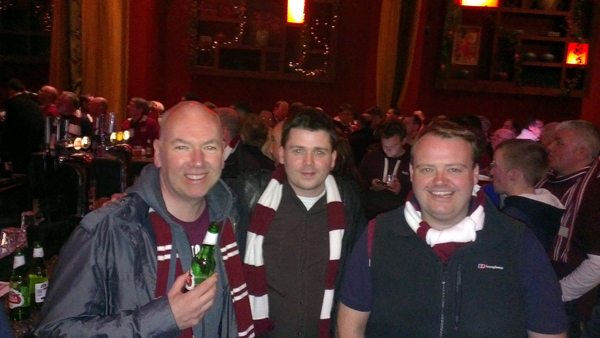 On Sunday, approx 100,000 people around the city participated in the victory celebrations and watched the winning team travel from the City Chambers to Tynecastle Stadium in Gorgie. Lothian and Borders Police and their partner agencies carried out a major operation on match day and on the day of the parade to ensure public safety was maintained throughout and to facilitate an historic and family-friendly weekend for the capital. All organisations involved would now like to thank supporters of both clubs and members of the public alike for their responsible behaviour and good spirits over the past two days. Eight people were arrested in Edinburgh on Saturday for offences including alleged breaches of the peace and assault. However, police and partners have hailed the weekend as a major success with no significant incidents having occurred. Chief Superintendent Gill Imery, Divisional Commander for the City of Edinburgh said: “With Edinburgh’s two professional teams facing each other in a major cup final, worldwide attention focused on Edinburgh, Glasgow and the fans and organisations associated with the match. “I am delighted by the manner in which members of the public conducted themselves. “Both sets of fans were a credit to themselves and their clubs as they travelled to and from Glasgow and while they watched the match, either within the stadium, at home or in licensed premises. “Detailed planning between all partner agencies was carried out prior to this event to ensure the public were aware of all key issues including transport arrangements, local bylaws and planned activities for both clubs. “Significant police resources were in place to assist fans as they made their way to watch the match and to deal with any issues that arose. The feedback from officers across all forces has been extremely positive and the engagement between police and public appears to have been a key factor. “Lothian and Borders Police have a wealth of experience in facilitating large events within Edinburgh and worked closely with both clubs and the City of Edinburgh Council to agree two separate parade routes. 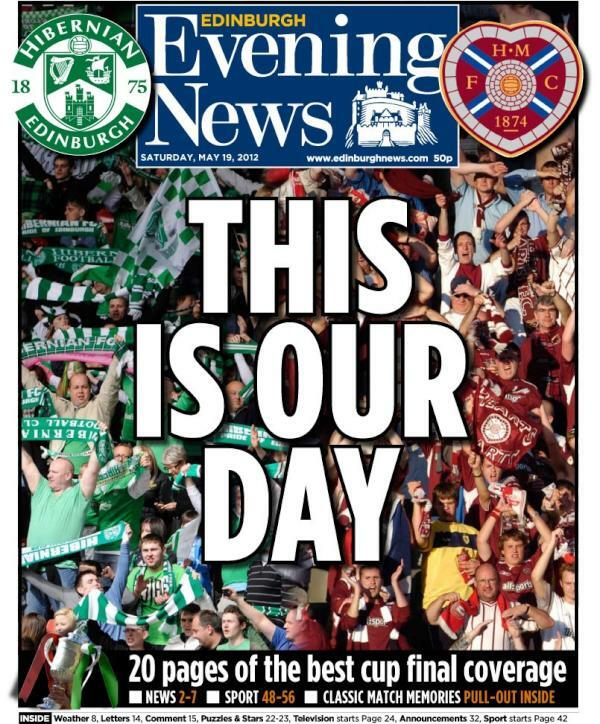 “Once the result of yesterday’s match was decided, the parade plan for City Chambers to Tynecastle Stadium was implemented to allow fans the chance to safely view their team with the Scottish Cup and enjoy the celebrations put on by the club. “With the result of the Scottish Cup Final decided, Lothian and Borders Police can now implement their policing plan for tomorrow’s victory parade. “The City of Edinburgh Council’s Event Planning and Operation Group devised the route following detailed engagement and discussion with all relevant organisations and we have continued to work alongside our various partners to address any issues that could potentially arise. “A large turnout is expected at the City Chambers from 2pm on Sunday as the open-top bus makes its way down to Tynecastle stadium and motorists are advised to plan journeys in advance and take heed of any road closures in operation during the parade. 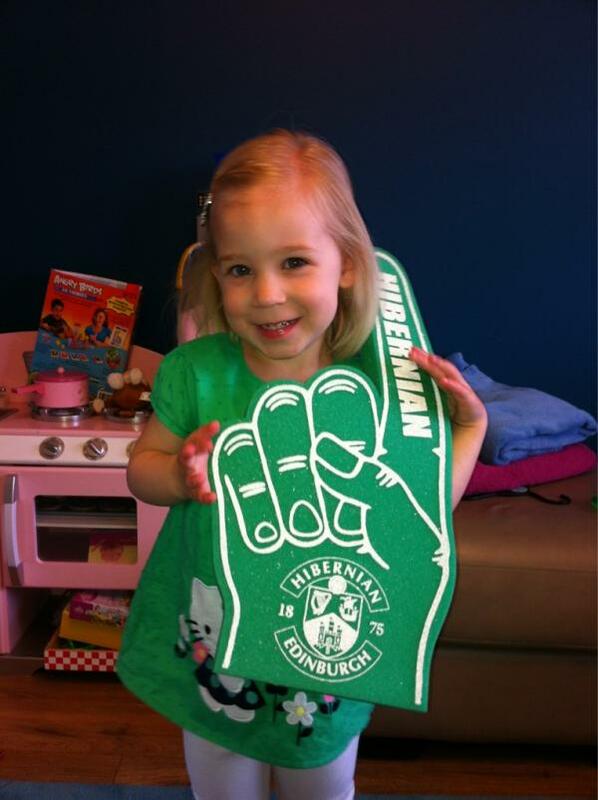 “Fans are also reminded to decide upon their desired vantage point for viewing the parade. “Those who intend on gathering at Tynecastle for the team returning should not attend other areas of the parade route as they will be unable to follow the bus as it makes its way down to Gorgie. “A substantial police presence will continue to patrol Edinburgh, the Lothians and the Scottish Borders this evening to ensure public safety is maintained at all times. A selection of our and your pictures showing the build up to the historic final. 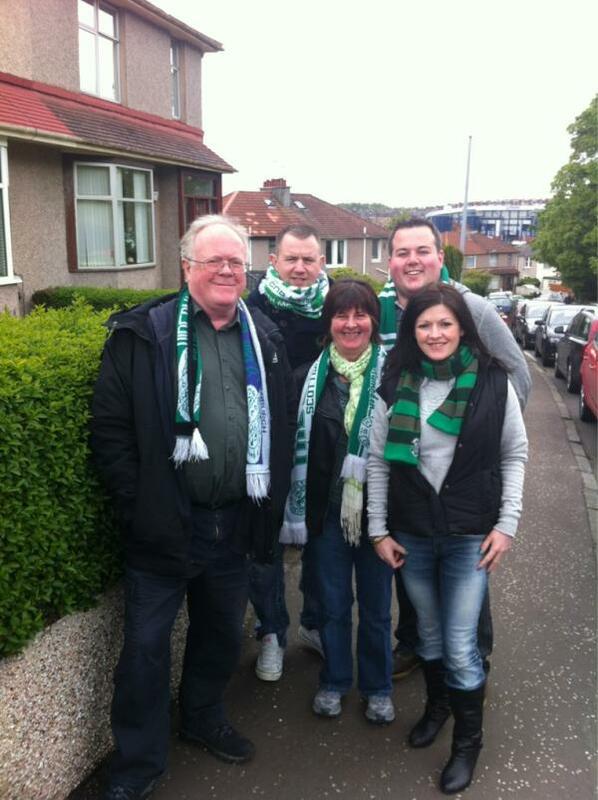 Lothian and Borders Police is delighted to follow both sets of fans to Hampden for the Scottish Cup Final. Throughout the day we will be providing up to date information through our website and social media channels. On this Blog we will providing a pictorial record of this historical ‘Salt & Sauce’ match, last played in 1896 in Logie Green. We have members of Lothian and Borders Police supporting thier respective teams and they will be uploading pictures from departure early in the morning until the cup returns to the city. 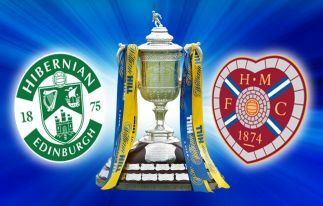 More than fifty thousand Hearts and Hibs fans will travel to Glasgow for the Scottish Cup Final on Saturday 19 May 2012. For many supporters this will be a day to remember for many years to come and as such we extend a very warm welcome to the teams and supporters of both clubs. “There’s no doubt Cup Final Day will be a memorable and exciting occasion and I would like to warmly welcome the teams and the fans to Glasgow. I’m sure the atmosphere at the national stadium will be electric, there’s nothing quite like a football final at Hampden and of course we want everyone to enjoy the game whatever the result. 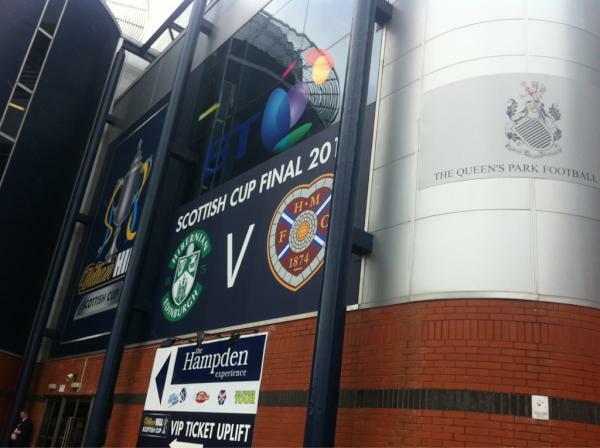 Passions will be running high as these two premier league teams compete to lift the Scottish Cup. Many fans may not be aware of the different laws in place in Glasgow – please read the important information below to ensure Cup Final Day is remembered for all the right reasons. 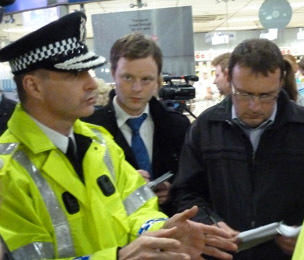 Drinking alcohol on the streets or in a public place in Glasgow is an offence. Drinking alcohol on public transport including buses and trains is not permitted. You cannot bring, or attempt to bring alcohol into the national stadium. Don’t miss a memorable match because you have drunk too much and therefore don’t get into the stadium. It is illegal to attempt to enter the stadium in possession of a flare or a smoke bomb. Officers will be on hand to offer help, if required. We are here to ensure the safety and security of all supporters attending the game and minimise disruption to the local community. I hope that this advice is useful and helps ensure all fans have a fantastic, unforgettable day. We are aware of the impact such events can have on local residents and we will have resources in place to minimise that disruption. 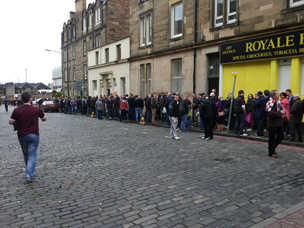 Glasgow is a great city, able to host the biggest and most exciting events and this is no different. As with any major event, public safety is a priority and additional patrols will help ensure the day is a great success and one which passes off without serious incident or inconvenience. 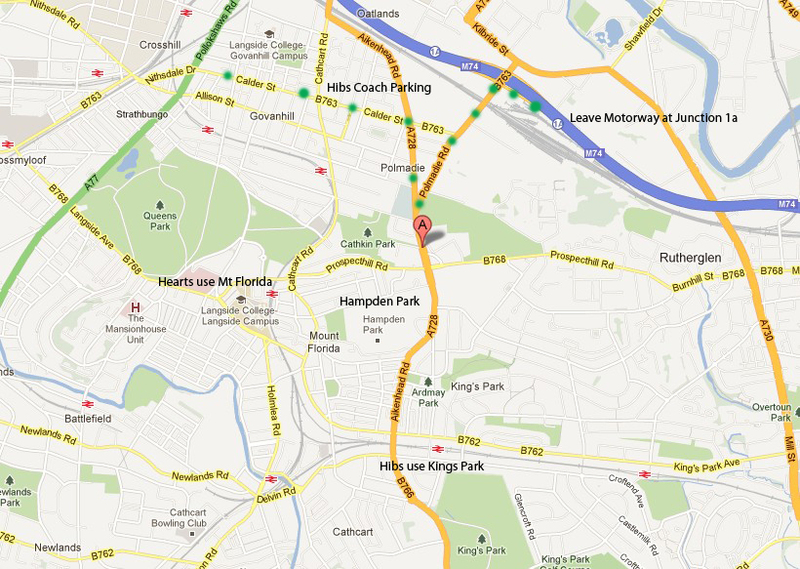 Edinburgh-Glasgow routes for the Scottish Cup Final between Hibs and Hearts. More than 50 trains – running on the Edinburgh to Glasgow Central via Shotts line as well as Edinburgh – Glasgow via Falkirk High and Bathgate respectively – will have additional carriages. There will also be numerous trains with extra carriages serving Mount Florida and Kings Park stations. A queuing system will be in operation at Edinburgh Waverley and Haymarket stations, aimed at getting as many people onto trains in the quickest possible time, and supporters will be directed to the next available train (be it going to Glasgow Central or on the two routes to Glasgow Queen Street). There will also be separate queues at Glasgow Central for the onward journey to Hampden – with Hibs supporters travelling on trains to Kings Park and Hearts fans going to Mount Florida. The winning team may be asked to travel via Airdrie/ Bathgate (entering Queen Street station via the Dundas Street entrance) The runner-up fans may be asked travel on trains via Falkirk High (entering Queen Street station via the George Square entrance and join the queuing system in place in the car park). Please check nearer the time for confirmation of details. all Glasgow-Edinburgh services from 1700 to 2100. Customers should purchase their tickets in advance of travel to facilitate their journey and allow more time for travel as services will be busier than usual. Tickets can be obtained at staffed stations, ScotRail telesales on 08457 55 00 33 or from our website. Edinburgh to Mount Florida £14.50. It may be cheaper to purchase separate tickets from Edinburgh to Glasgow and Glasgow to Mount Florida. 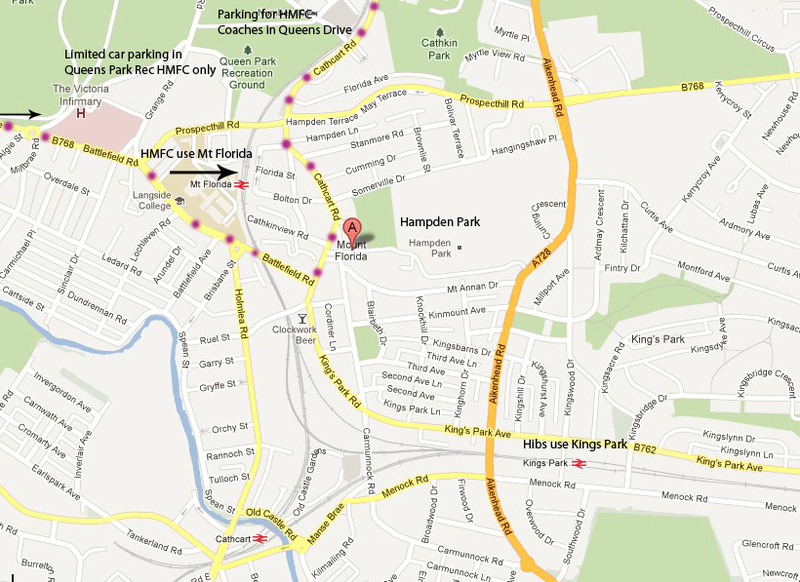 Tickets to Mount Florida can be used to/from Kings Park. Families can take advantage of ScotRail’s Kids Go Free ticket where up to two children can travel for free with every adult. Please also remember to check your train times before travelling. ScotRail ask fans to be patient during this busy time and follow the instructions of customer service staff and the British Transport Police.